In this campaign, to help me be known, I am accepting contributions but I am not courting the machine or the big shots. I admit that to get the attention of the Press, I do have to "press" my nose against the glass. I know the people at the Times Leader in Wilkes-Barre PA have come to like me from my virtually unknown campaign for Congress in PA-11 last year. But, even they must be fair handed in the time they dole out, and important people get in the news more often than those just starting out. It's just how it is, though it is not fair to the new candidate or to the people. I am making myself available as a resident of Pennsylvania, a normal man among normal men and women, to be your Junior Senator from Pennsylvania in the 113th Congress. I ask for your support in the April 24th primary 2012, and again in the general election. When I ran for Congress in 2010 in PA-11, I got the attention of Wilkes-Barre's Times-Leader and since then, I can say with them it has been smoother sailing than with the other newspaper moguls of NEPA who have been so liberal they qualify as being part of the main stream media (MSM), I have a challenge becoming known across the state to the south and the West. It should be fun. Some say that even on their days off they wear Obama for President signs on their gotchies. In other words, it is tough to become known to a constituency when the supposedly independent Press is rooting for someone other than you. I expect that it will be that much tougher since the battle for the Senate is a state-wide election. That is why I am investing so much of my time in my Web site. Everything about my campaign is here, and hopefully, we will get a lot of hits. The Scranton Times and the Citizen's Voice, who are the same organization in Northeastern Pennsylvania did not give me a fair shake in my run against thirteen term Congressman Paul Kanjorski in 2010. Who says so? I say so! Half or better of the seven week primary season was over when they finally promised that when they spoke about the PA-11 election, they would henceforth make note that I too was a candidate. In almost all newspieces about the election, the NEPA liberal press accidentally excluded mention of me or my camapign even though I had secured the # 1 ballot position. It was simply unfair, and they never tried to make it up. It must have been a burden for them to add my name with just ten letters total to their news print output. Despite their efforts, intentional or unintentional, of keeping me as an unknown, 17% of the people voted for me in the Primary. Obviously, these were people who read the Times Leader and not the CItizens Voice or the Scranton Times. I expect this was to the chagrin of both of these Scranton controlled newspapers and their affiliates in Northeastern PA (NEPA). I feel sorry for the people of NEPA who were not given the full picture by companies that claim to exist because the public has a right to know. I promise I will call them out sooner if they perform the same way in the 2012 Senate elections. The TL did not endorse me by any stretch of the imagination, but they did not summarily dismiss me as did the Scranton Times corporate magnates. All along I felt I had a chance with the Times Leader if I got fair treatment from all outlets. I did think I had a shot at a win. Maybe buckshot and maybe Rice Crispies, but I had a shot. I do believe that. If the CV and the Scranton Times were a bit more fair, and if Public TV did not keep my message off the air, I would have scored better. I still may not have won but I would have scored better because more people would have understood what my campaign was all about. In this battle for defunding NPR and Public TV, since local Public TV perhaps received grants from the incumbent, it is understandable why the public should want public TV defunded. After all, it is not called "Incumbent TV. "" No, I was not going to kiss babies or crash suppers or breakfasts to say a piece but through normal means, the public could have come to know that I meant business. It takes an awful lot to be willing to spend two years in Washington. I was prepared in 2010, Quite frankly, the last thing I was interested in was to spend those two-years away from home and family. It will be more difficult going for six years as a Senator but I have a calling. I can understand how all voters are suspicious, especially those who, thanks to Public TV, and biased Main stream media (MSM) outlets, never get a glimpse of your countenance. I had made myself available for debates and speeches but the incumbent said "no." When Public TV would not have me, I figured it was fixed because It was fixed. That's why I backed Barletta in the Fall 2010. I thought the Times and the CV would be fair. Overall, they just dismissed me because I was so new to the game. I agreed to run through the Times Leader gauntlet of reporters as well as the CV/Times gauntlet. They were all kind in person. When I responded to one of their questions intelligently, they appeared surprised. That was telling. It certainly helps to be known already when you think you are going to run for office. Nobody knew me and but for the good will of one Newspaper, the Times Leader, nobody would have known me. 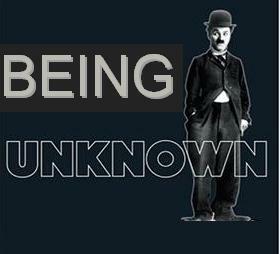 Being unknown is a big disadvantage. That is why I decided to take contributions in this campaign. My small savings could not have helped PA-11 know who I was and surely the millions of Pennsylvanians across the state will be even more difficult to meet. Contributions will permit me to place a few "it's me," adds so that when voters go in the booth on April 24, 2012, they won't be asking, "Who dat?" I do not plan to advertise in the Citizens Voice or the Scranton Times. When they had the opportunity to be instruments for the people, they chose not to act accordingly. Reporters and Newspaper Executives are not easily moved to a newcomer's side even after you answer their questions and withstand their follow-ups. Perhaps they already had their game plan and perhaps the interview process is a farce. I am very pleased, however, that I did better before these two editorial boards than I expected. I always do fear having to quote Jackie Gleason for responses in an interview. The Gleason "humma humma" may work in comedy but not in a serious interview. I didn't "humma" even once in either interview so I am really quite pleased with my performance. Maybe they liked me or maybe they liked the idea of my candidacy. Either way their questions were not softball and they seemed to be pleased with my responses. When they reported, the Times Leader was always fair and the CV/Times more often than not, as previously noted, conveniently forgot that I was part of the race. So, in the 2012 Senatorial run, I may not sit for an interview. I'll decide later. Let them explain why! The Press's problem in the 2010 primary season for the D11 Congressional seat was that "Nobody expected that a guy 'who nobody knows,' would run for office." And so I know that as a candidate, I was very close to being summarily ignored. Nobody in the Press tried to hurt me. Though I have lingering thoughts about the CV. Long before I was contacted by either paper, after writing both of these NEPA "papers" multiple times, trying to assure them I was a viable candidate, state certified, I had some thoughts about whether my exclusion from coverage was intentional. Perhaps it was but even if it was not, I will spend my time in other venues and far away from the CV and the Times. Americans do not get pushed around and come back looking for more. Americans fight back. The papers and the other news media of NEPA should grant candidates some time before the people. The media has a responsibility to assure that the people are informed about all candidates and where all candidates, not just the incumbent and well financed challengers stand on the issues facing us all. TIn my opinion, the papers, TV Radio, etc. should do more for the people. Those who choose not to take machine political money need to have a soapbox to preach from and it is the media's job to provide that for the public. It is called news. The NEPA Press, by and large did not help the people of NEPA in 2010, with the exception of the Wilkes-Barre Times Leader, who behaved as real news outlet, interested in serving the public. For me, the bottom line is that it is not easy for democracy to continue when the people have a tough time getting on the ballot and then they must fight against mythical forces to convince even their neighbors that they are serious in the endeavor. My political friends say that is the nature of the beast. I say, the beast is the problem. We whould support those news outlets which serve the people, and only those. So, after the election, I dropped my subscription to the CV. Feel free to do the same if you feel as I. The CV and the Times were not friends of ordinary citizens in 2010. Why should we expect them to change for 2012? In summary, I have had these questioning thoughts about the Press since my campaign, and the more reflection i give the topic, the less I am convinced that it was not intentional. I was excluded that is for sure for a number of precious weeks, and none of the exclusion was made up. If it was not intentional, then I would hope someone will tell me how it was not intentional. If it was intentional, I expect to hear from no one. So far, the phone has not rung. An attentive press, concerned about the people, is very necessary to help a person not blessed by the machine to get their message out. I used this Web site, www.briankellyforcongress.com for my campaign, and many came to vitit. Thank you. I Thank you for visiting. I know that people do not just appear on this site. Most have to learn about it from some other media. Now, here you are on www.kellyforussenate.com, and however you got here, I want to thank you for coming and I ask you for your support. I am not the favored candidate of the PA machine and that makes me quite happy. The CV and the Times of NEPA will not endorse me and I will not endorse them. It is tought to be unknown for sure. I am working as hard as I can with the constraints that I have been given to help you know that I think like you do and if you choose to send me to Washington to be your Senator, I will not be campaigning on your time. I will be working for the people of Pennsylvania for the good of America. Even the Press cannot argue with that?